Weather Topic: What are Mammatus Clouds? A mammatus cloud is a cloud with a unique feature which resembles a web of pouches hanging along the base of the cloud. 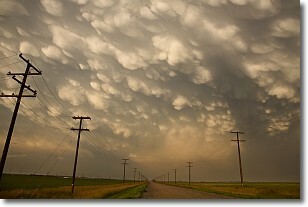 In the United States, mammatus clouds tend to form in the warmer months, commonly in the Midwest and eastern regions. 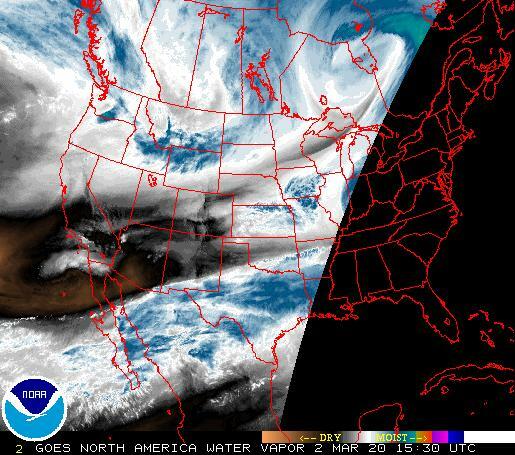 While they usually form at the bottom of a cumulonimbis cloud, they can also form under altostratus, altocumulus, stratocumulus, and cirrus clouds. Mammatus clouds warn that severe weather is close. Weather Topic: What are Wall Clouds? 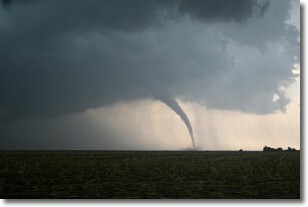 A wall cloud forms underneath the base of a cumulonimbus cloud, and can be a hotbed for deadly tornadoes. Wall clouds are formed by air flowing into the cumulonimbus clouds, which can result in the wall cloud descending from the base of the cumulonimbus cloud, or rising fractus clouds which join to the base of the storm cloud as the wall cloud takes shape. Wall clouds can be very large, and in the Northern Hemisphere they generally form at the southern edge of cumulonimbus clouds.